Coalville is a ‘new’ town, which began life in the 1830s as a small collection of houses along the road which separated the parishes of Whitwick and Swannington to the north from Hugglescote and Snibston to the south. The settlement was originally called Long Lane, taking its name from this road, but had become known as Coalville from the 1840s, as it owed its existence to the rich coal seams in this part of Leicestershire. It grew rapidly, and Coalville Urban district was created in 1892 by the absorption of the whole of Whitwick ancient parish, together with parts of the civil parishes of Hugglescote and Donington, Ravenstone with Snibston and Swannington. This creates some difficulties in identifying chapels in historic records. The population of the Urban District in 1901 was 15,281, with 7,157 of these people living within Coalville civil parish. 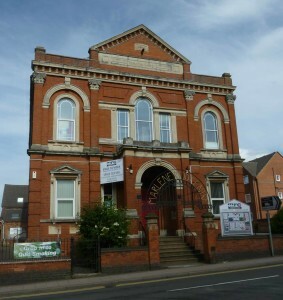 A Particular Baptist chapel was built in 1852 ‘in the Hugglescote part of Coalville’. The precise location is presently unknown. This might be the ‘Calvinist chapel’ in Coalville mentioned in Kelly’s Directory of 1881. 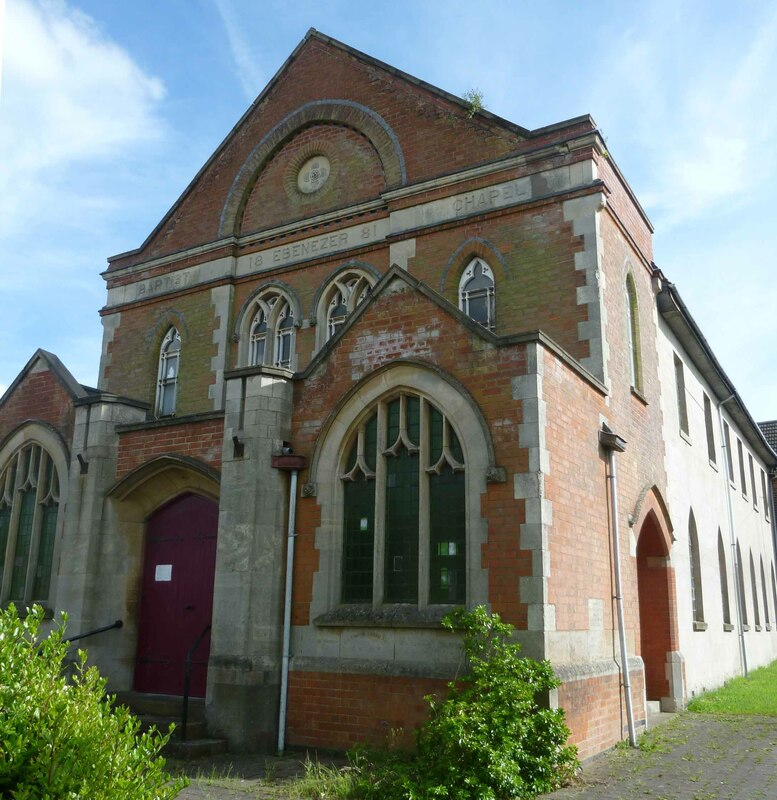 A Baptist Chapel in Ashby Road built in 1881, which seats 500/650. This is the Ebenezer Baptist Church, which is still there today. A Baptist Chapel on London Road, built in 1835/1838 with 600 sittings and a Sunday school attached. This is shown on the 1929 Ordnance Survey map adjacent to the railway line to Whitwick colliery. The building is no longer there. A General Baptist Chapel recorded in Coalville in 1855, which was said to have been built by subscription for £600, and ‘belongs to the Original General Baptists at Hugglescote’. This may be the forerunner of the Ebenezer church. A Baptist Chapel built in 1861 at a cost of £600 (Kelly’s Directory, 1895). 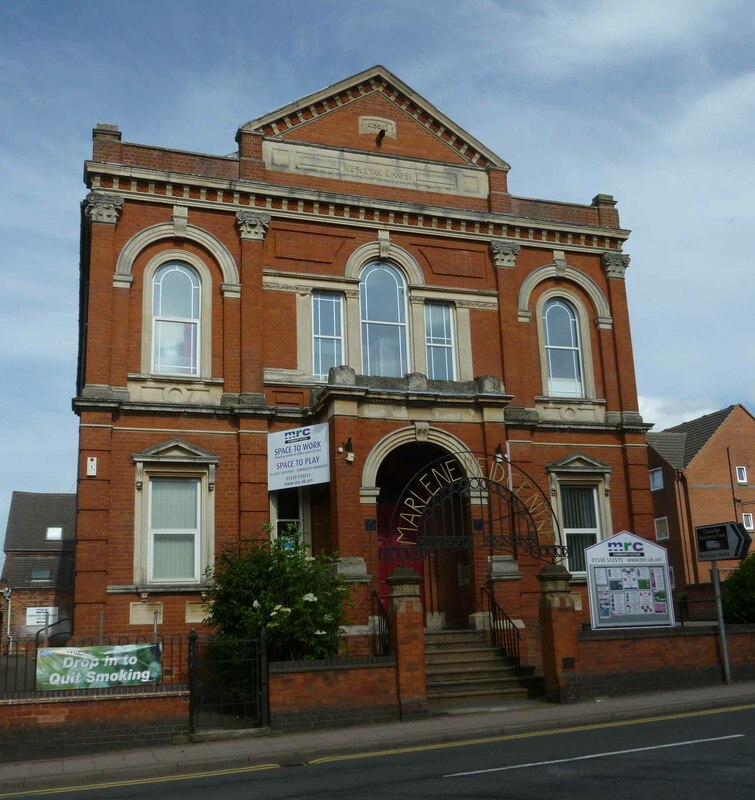 This is the 1861 Baptist Chapel in North Street, Whitwick. By 1895, Whitwick was part of Coalville Urban District. Pastors H Smith and T Yates commented on their return to the 1851 religious census for the General Baptists of the New Connexion that Coalville, Ibstock, Whitwick, Coleorton and Hugglescote formed one church, called The General Baptist Church Hugglescote. They stated their building was erected in 1837, suggesting it was the one on London Road mentioned above. It had 115 free sittings and 75 other sittings, and in addition there was space for a further 18. Two schoolrooms measuring 19 feet by 18 feet each also opened on to the chapel, to create additional space when required. On 30 March 1851, 70 people attended the morning service and 146 were present in the afternoon. There were 72 people atSunday school that morning. 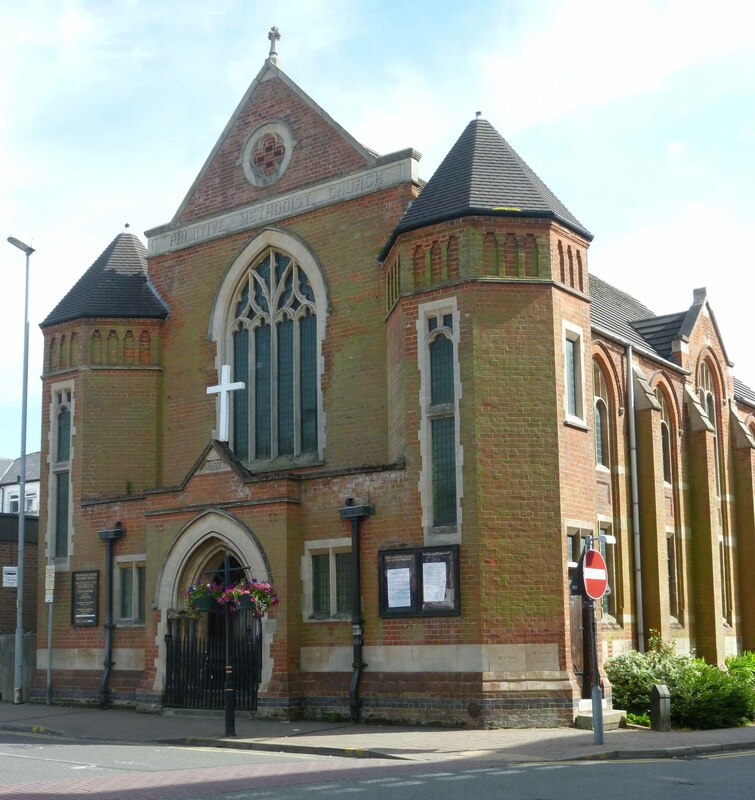 A Congregational Chapel is recorded in London Road that was built in 1901, and which seated 200 people. This may be the chapel shown on the 1903 Ordnance Survey map immediately opposite the London Road Baptist Chapel. It does not appear on the 1929 map, and the building is not there today. 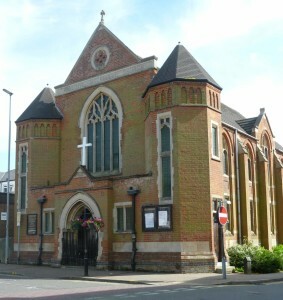 A large Wesleyan chapel stands on the junction of Belvoir Road and Melbourne Street, with schoolrooms behind. It was built in 1881. The Primitive Methodists had a chapel at Coalville in the 1860s. A chapel with Sunday school is shown on the 1903 Ordnance Survey map on Belvoir Road, adjacent to and immediately north of the level crossing for the Snibston Colliery Railway. Shortly after that survey, a new chapel and schoolrooms were built on a vacant site on the junction of Marlborough Square (which the chapel faces) and Jackson Street. A congregation is recorded meeting in a room in Hugglescote in the 1880s and 1890s, and by the turn of the century in a room in Coalville. This may have been the same meeting place, as the boundaries of Coalville had been extended through the local government reforms. The precise location is unknown. In 1846 a large Sunday school at Snibston colliery was also used as a chapel. The modern chapels in the Greenhill area of Coalville will be included in this page at a later date.